Life can be tough hustling on the mean streets of New York City. We’re not talking about slinging drugs or dancing on subways. We’re talking, of course, about driving an ice cream truck. Of course, these are just truck drivers. In theory, they should be able to go anywhere. 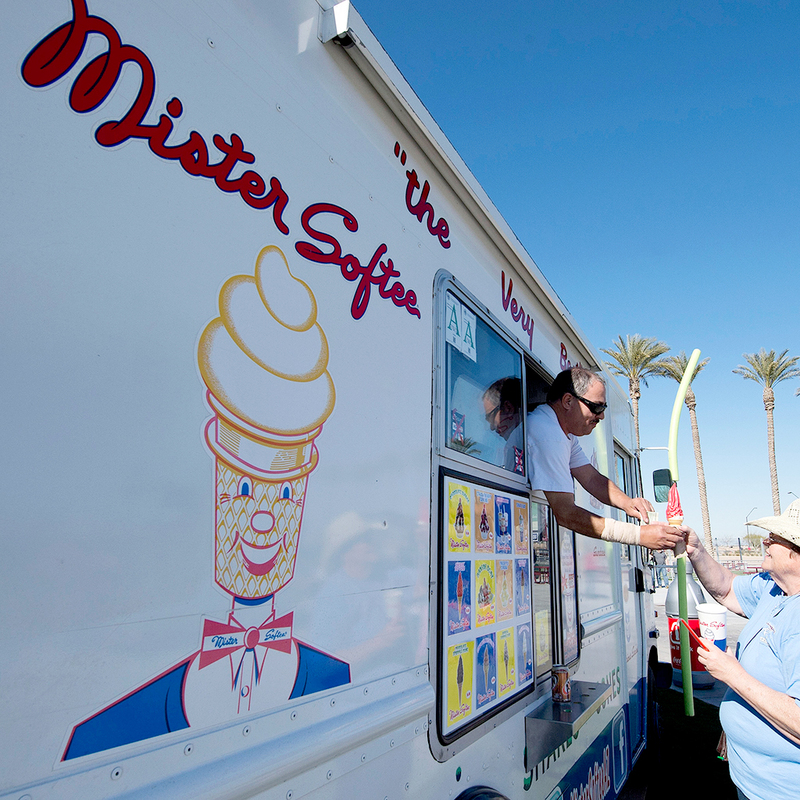 In fact, Mister Softee VP Jim Conway even said their brand wants drivers to try to work in Midtown. “We consider it wide open territory,” he said. “The issue is that people just fear for their safety.” So why not take some sort of legal action to stop the violence? Strangely, ice cream people follow a bit of a street code, apparently. “It’s just the way it is,” said Conway. “Life on the street.” Let me stress: The vice president of Mister Softee said that. The people selling your kids ice cream are serious badasses. But the people working those streets for that almighty ice cream dollar have it the worst. “Every truck has a bat inside,” said Mister Softee driver Adam Vega. That’s not in case a group of kids want to play a pickup game of softball, I’ll tell you that much.